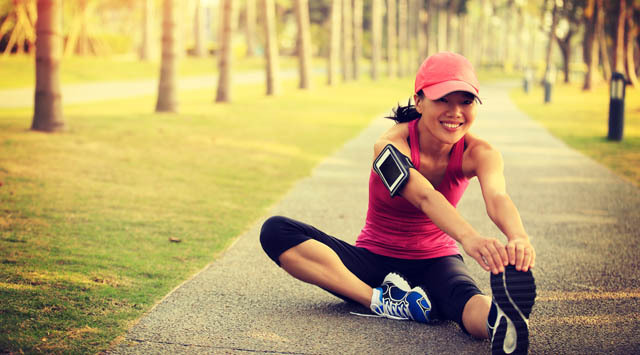 Whether it's committing to your physio rehab exercises, walking the dog, losing weight or increasing your fitness, we share five quick and easy ways to stay on track with your health and wellness goals. If you don’t set a plan for when you will do your exercise it is likely not to happen. Spend 15 minutes to work out exactly what day and times you will do the exercise and write this down and stick it on the fridge or back of the toilet door so you will see it every day. After you have planned you need to make sure you stick to it. On your planning sheet write 2 or more reminders about what benefits you will get from your exercise – if you are having any doubts about doing your session use these to remind yourself why it’s important. You should aim to change your exercise routine every eight weeks or so. There are many benefits to get out of changing your usual exercises but most importantly is that it will stop it from becoming the same boring thing every time. Things as simple as changing where you walk/run or do your exercises can have a very positive effect on how you perceive the exercise. If you are planning to be a morning exerciser but then find it too comfortable in bed when the alarm goes off, try placing your alarm across the other side of the room. Once you get out of bed to turn the alarm off the hard part is done, then you can get changed and head straight off. Similarly if you choose to exercise after work you will find you have much more success if you do it straight after work or on your way home. Take a change of clothes to work and go from work or go to the gym/park on the way home to complete your exercise. Too often if people decide to go home and relax for 30 minutes first then that 30 minutes turns into two hours and more excuses start to pop up. Do it straight away and you can then enjoy the evening knowing you have completed your daily goal! If you want or need more suggestions please feel free to speak to your physio at Back In Motion about this as there are many other ways to help keep you motivated and achieving your goals.